Earlier this week, for the first time in U.S. history, active duty military members did not get paid. That distinction falls to the 41,000 active duty Coast Guard who are currently working without pay while the federal government remains partially shut down, and President Donald Trump squares off against Democrats demanding funding for a border wall. The Coast Guard falls under the Department of Homeland Security, and not the Department of Defense, which is not impacted by the shutdown. Coast Guard members usually get paid on or around the 1st and the 15th of every month. The government was able to find funds for a one-time emergency payment for the Dec. 31 paycheck, but wasn't been able to do so since. In the meantime, as the shutdown approaches its fourth week, there are some financial options for affected families. 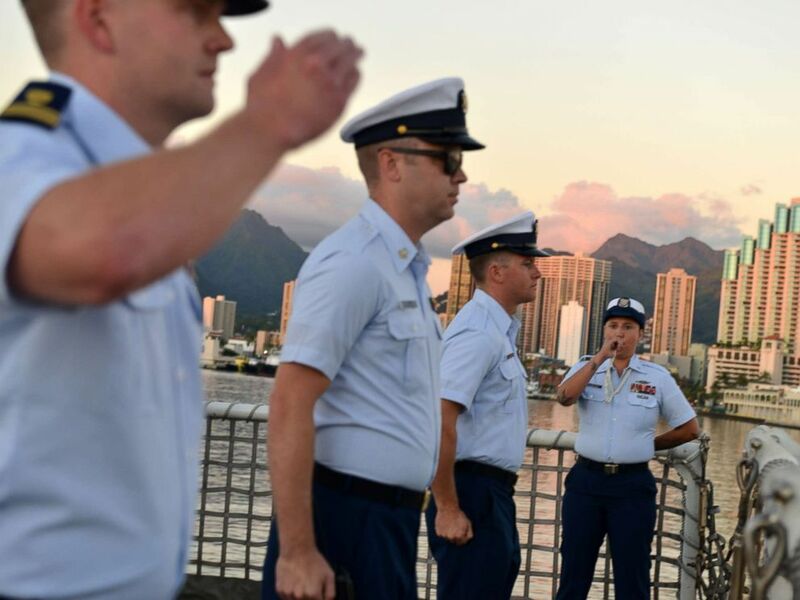 Petty Officer 3rd Class Bianca Valenzuela pipes colors using a boatswains pipe during a ceremony aboard the Coast Guard Cutter Sherman the evening before the cutter is scheduled to be decommissioned in Honolulu, Mar. 28, 2018. Navy Federal Credit Union, which says that 100,000 of its 8 million members are affected by the shutdown, is offering an advance on direct deposit, basically extending a zero-interest loan to be repaid when paychecks resume, credit union spokesman Mike Rudin told ABC News. The first of these payments for affected members from the Departments of Homeland Security, Agriculture, Interior and Transportation, were deposited on Monday, Rudin said. Customers must enroll in the program, which does not require a new credit check, but does require an account that has direct deposit. Only about 14,000 of the 100,000 eligible credit union customers have done so, Rudin added. "We encourage everyone who is eligible to enroll," he said. Coast Guard Cutter Munro navigates through the Oakland Estuary en route to the cutter's homeport of Coast Guard Island in Alameda, Calif., Dec. 24, 2018. The program covers paychecks ranging from $250 to $6,000. For members making up to $500, $250 is deposited. For members making $501 to $6,000 in each paycheck, the amount deposited is rounded down to the nearest $500, and maxes out at $6,000. San Antonio-based United Services Automobile Association (USAA) is one of the largest banks to serve the military. In the past, USAA, like other military lenders, offered similar zero-interest loans to service members during government shutdowns until paychecks resumed. But this year, USAA had declined to do so, instead offering low-interest loans which require a credit check for existing customers, drawing ire from its customers. In addition, many customers said USAA denied many these loans, even for people with good credit scores. 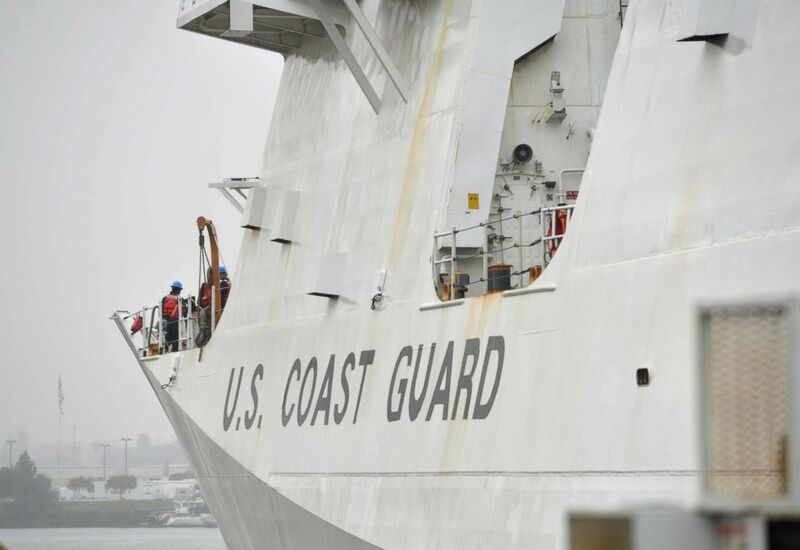 However a spokesperson for USAA told ABC News that starting Jan. 16, "Coast Guard service members with dependents will be eligible for interest-free loans of up to $1,000, while service members without dependents will be eligible for up to $750." The loans will be distributed by Coast Guard Mutual Assistance (CGMA), a nonprofit. "The CGMA loan assistance is designed to cover an estimated two weeks of shortfalls due to not being paid, such as housing, essential utilities, food, and child care and is available to all Coast Guard service members," USAA spokesperson Matthew Hartwig wrote in an email. USAA is also offering: "60-day payment deferral on consumer loans (auto, personal, etc. ), 90-day payment deferral on credit cards," Hartwig wrote, although "interest will continue to accrue." He added there may be special payment arrangements on auto and home insurance premiums. Members had previously complained to ABC News that USAA was not offering any loan forgiveness or grace periods for late payments related to the shutdown. Hartwig said the new initiatives were "not a reversal of policy, at all. As the shutdown continues, we are offering more ways to help our members affected by a disruption in pay. We have also sought ways to help the broader military community affected by the shutdown." For its part, CGMA says it has budgeted for about 22,000 loans. "We are focusing on the junior workforce,” CGMA CEO Cari B. Thomas told ABC News, “as they have the most financial need."